RGB Strips are those that can change color by changing the frequency of the electricity sent to them. An RGB controller and a strip have 4 wires or contacts. One is a ground and the other 3 are either Red, Green, or Blue and can be played with in thousands of ways. An RGB controller uses an infrared beam to transmit a signal to the small box of circuits wired to it. It can fade color, display any color, strobe, strobe alternating colors some of them can be programmed to sequence any set of colors or patterns the owner chooses. 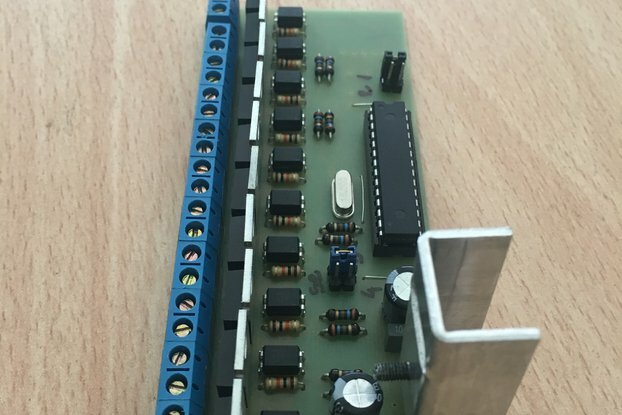 The simplest are an in wire controller we sell here. It will dim, strobe and many other things, but with the press of a button. This product has a remote and will control the strip from a good way off. I will charge as little for shipping as possible, I do not try to make money on S&H and will do what I can. With multiple orders, if the weight gets over the priority weight level I will charge whatever more, but only what they charge us.